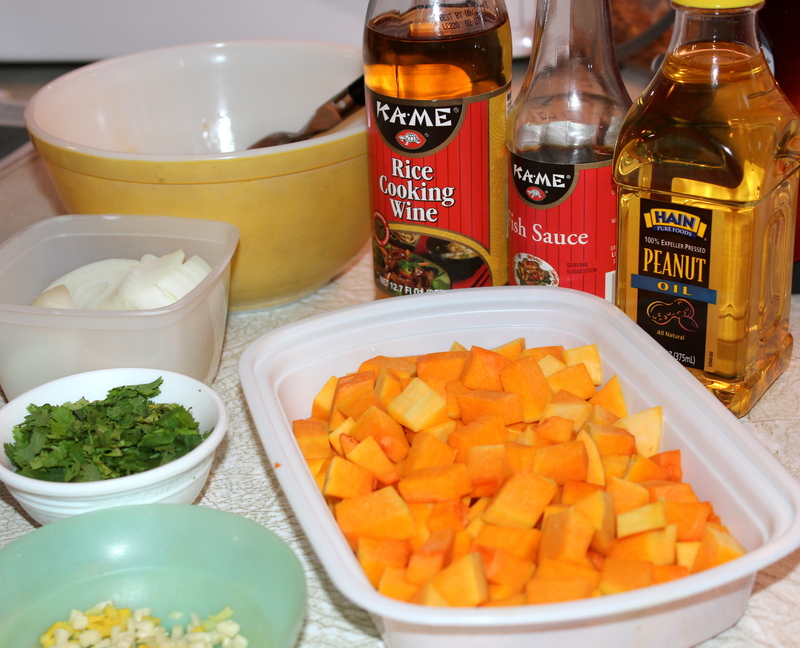 With the weather still being relatively warm I wanted to prepare something light yet still take advantage of some fall vegetables, so I made up a stir-fry that incorporates butternut squash. 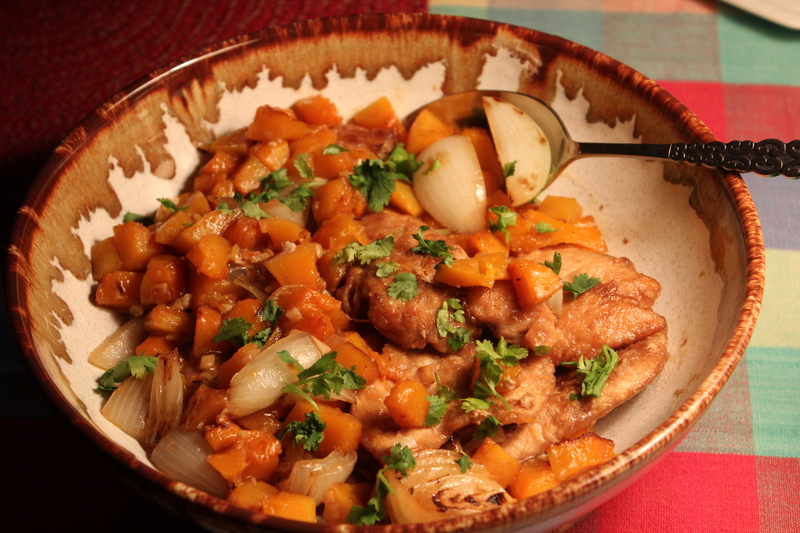 The original recipe for this dish called for snow peas and carrots, but I substituted the butternut squash instead. It incorporates the robust flavors of Thai cuisine. The ingredient list looks long, but if you get all of the ingredients prepped and organized before proceeding, the cooking itself is quick. Serve it with steamed rice, fried rice, or to save on carbohydrates, wrap it in lettuce leaves. Prep all the ingredients first. 1. Wrap chicken breast pieces in plastic and gently pound them very thin. 2. In a medium bowl, whisk together soy sauce, mirin, and water; add chicken, toss to combine, and chill 15 minutes. 3. In another medium bowl, whisk together 2 Tablespoons cornstarch and sesame oil, set aside. 4. In a small bowl, whisk together fish sauce, broth, lime juice, sugar, pepper, and 1 teaspoon cornstarch; set aside. 5. 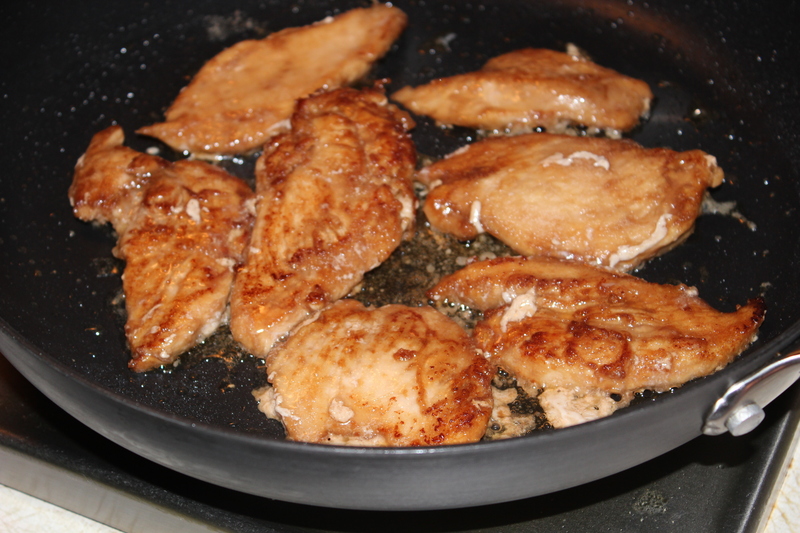 Drain chicken, pat dry, and toss with cornstarch-sesame mixture until thoroughly coated. Heat 2 teaspoons vegetable oil in a large non-stick fry pan or wok over high heat until just smoking. Add chicken, using tongs to separate and spread pieces out, and cook, stirring, until both sides are well browned and interior is almost cooked through, 2-3 minutes. Transfer to a large bowl. 6. 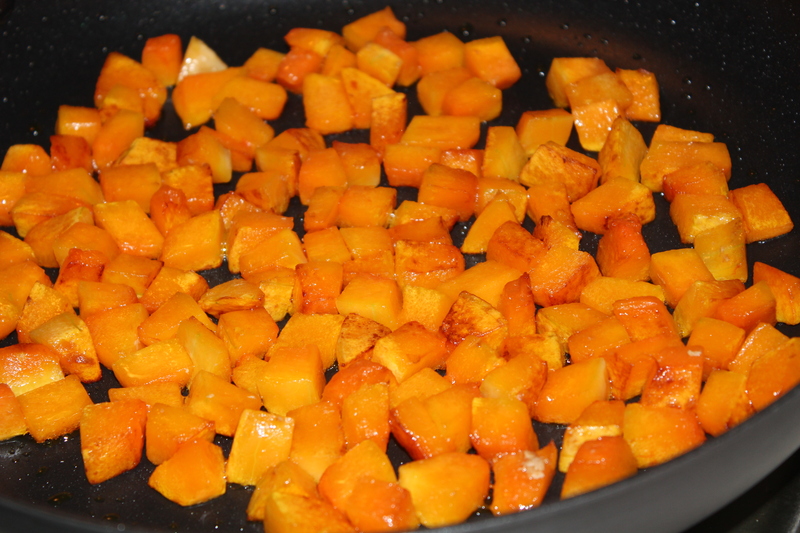 In now empty pan, heat remaining 2 teaspoons oil until smoking and cook butternut squash, stirring occasionally, until just tender and browned on the edges, about 6 minutes; transfer to bowl with chicken. 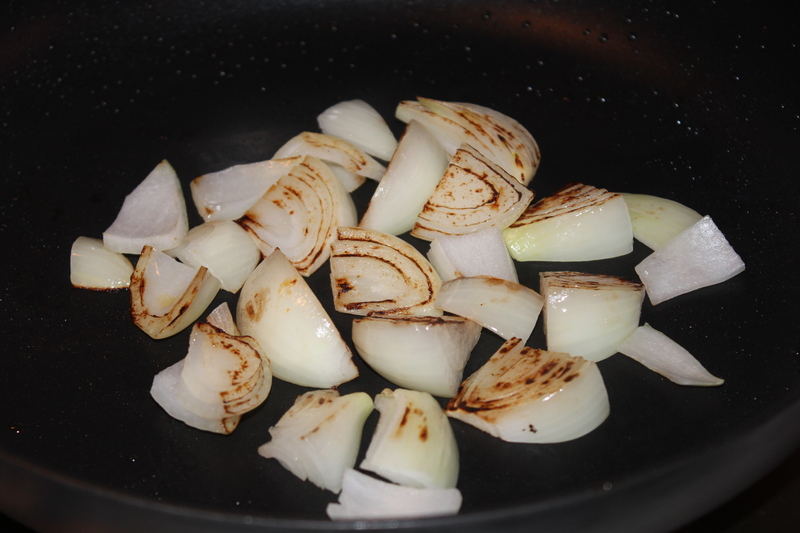 Add onion wedges to pan and cook, without moving, until nicely charred on one side, about 1 minute; continue cooking for an additional minute, stirring frequently. 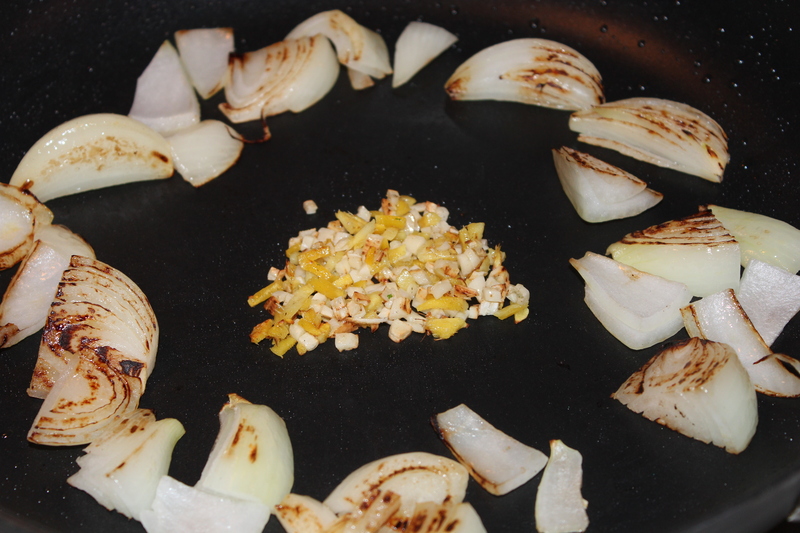 Push onions to the outside edge of the pan; in the center, add garlic and ginger and cook, stirring until fragrant, about 30 seconds. 7. 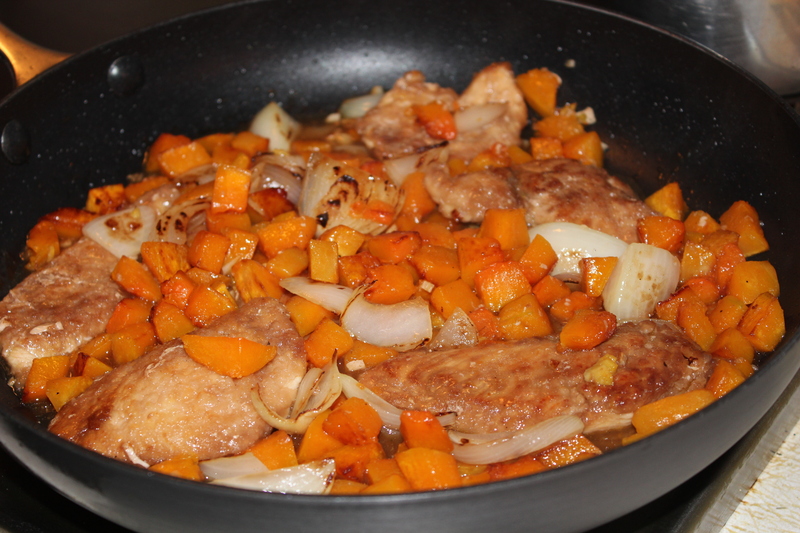 Move onions back to center of pan, add reserved chicken and squash, and stir in fish-sauce mixture. Cook, stirring frequently, until sauce thickens, about 2 minutes. 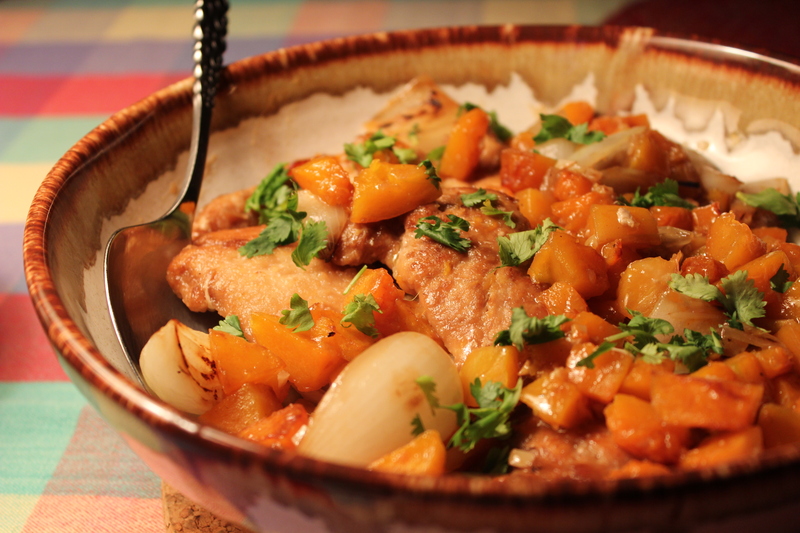 Transfer to serving dish, garnish with herbs and crushed peanuts ( if using) and serve immediately .